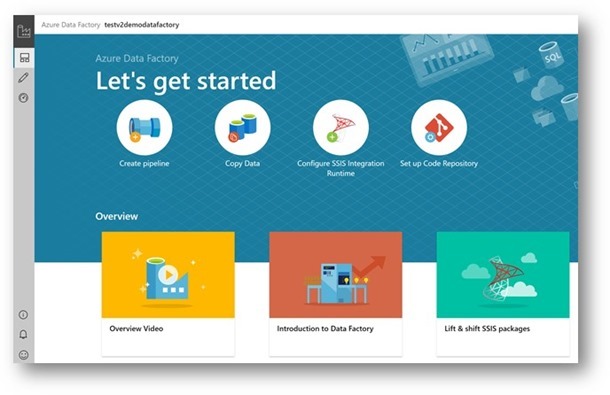 Azure Data Factory (ADF) v2 public preview was announced at Microsoft Ignite on 25th Sept 2017. 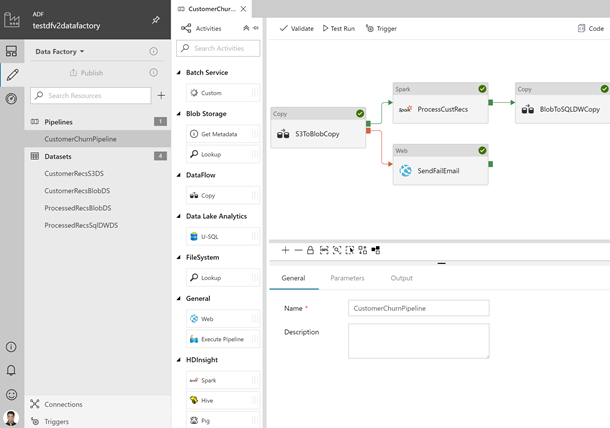 With ADF v2, we added flexibility to ADF app model and enabled control flow constructs which now facilitates looping, branching, conditional constructs, on-demand executions and flexible scheduling in various programmatic interfaces like Python, .Net, Powershell, REST APIs, ARM templates. One of the consistent pieces of customer feedback we received, is to enable a rich interactive visual authoring and monitoring experience allowing users to create, configure, test, deploy and monitor data integration pipelines without any friction. We listened to your feedback and are happy to announce the release of visual tools for ADF v2. The main goal of the ADF visual tools is to allow you to be productive with ADF by getting pipelines up and running quickly without requiring to write a single line of code. 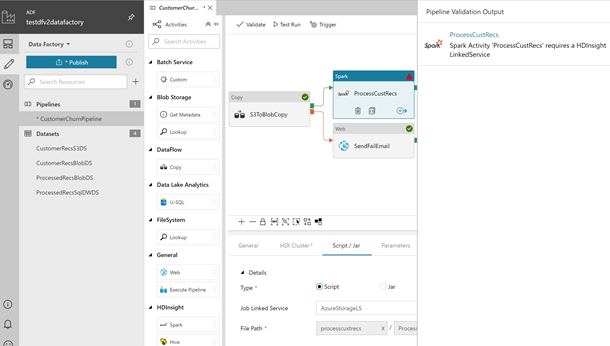 You can use a simple and intuitive code free interface to drag and drop activities on a pipeline canvas, perform test runs, debug iteratively, deploy and monitor your pipeline runs. With this release, we are also providing guided tours on how to use the enabled visual authoring and monitoring features and also an ability to give us valuable feedback. Our goal with visual tools for ADF v2 is to increase productivity and efficiency for both new and advanced users with intuitive experiences. 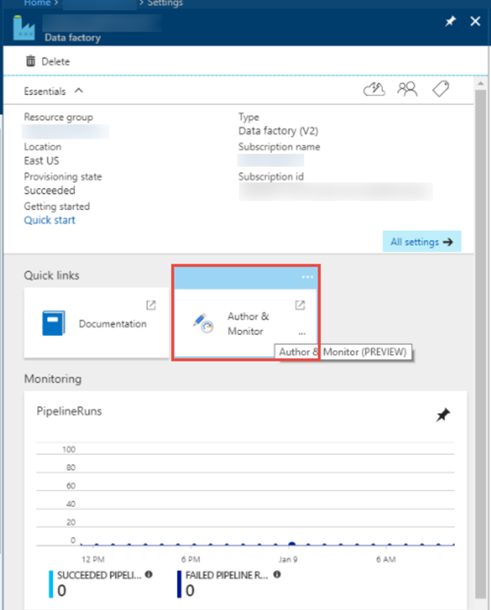 You can get started by clicking the Author and Monitor tile in your provisioned v2 data factory blade. Check out some of the exciting features enabled with the new visual tools in ADF v2. You can also watch the short video below. 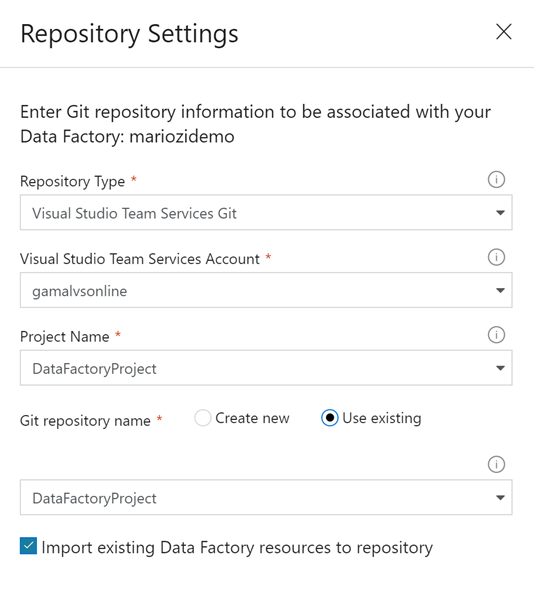 Set up code repo (VSTS GIT) for source control, collaboration, versioning etc.. Create pipelines, drag and drop activities, connect them on-success, on-failure, on-completion. 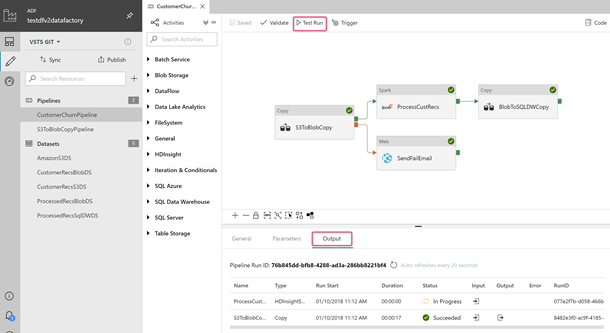 Create a self hosted integration runtime for hybrid data movement or an Azure-SSIS IR for lifting and shifting SSIS packages to Azure. Create linked service connections to your data stores or compute. Do Test Runs before attaching a trigger on the pipeline and running on-demand or on a schedule. Parameterize using expressions, system variables. You can now validate your pipelines to know about missed property configurations or incorrect configurations. Simply click the Validate button in the pipeline canvas. This will generate the validation output in side drawer. You can then click on each entry to go straight to the location of the missing validation. Trigger on-demand, run pipelines on schedule. VSTS GIT for source control, collaboration, versioning, etc. Support for 65 data stores. 18 stores with first class support which require users to provide just configuration values. The remaining 47 stores can be used with JSON. The familiar ADF v1 copy wizard is now available in ADF v2 to do one-time quick import. Copy Wizard generates pipelines with copy activities on authoring canvas. 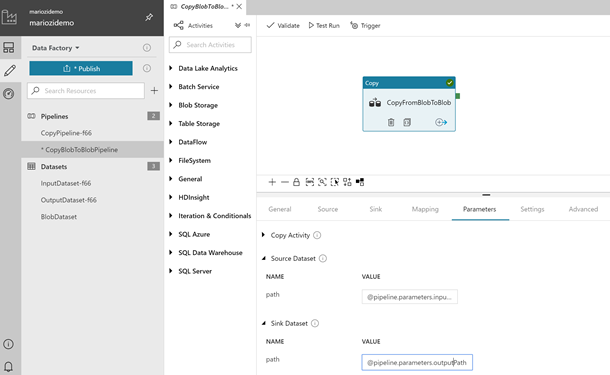 The copy activities can now be extended to run other activities like Spark, USQL, Stored Proc etc. on-success, on-failure etc. and create the entire control flow pipeline. Click on the Information Icon in the lower left. 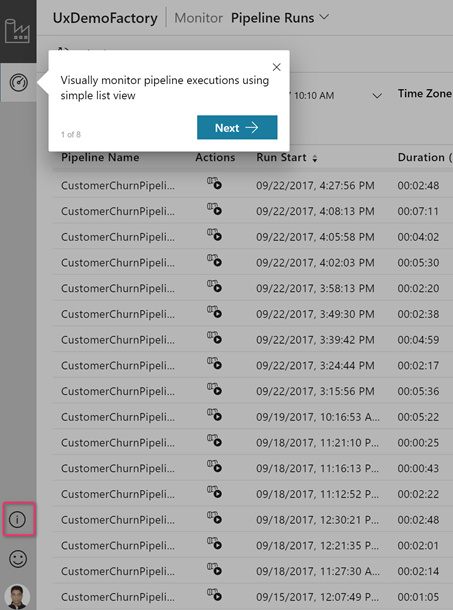 You can then click Guided tour to get step by step instructions on how to visually monitor your pipeline and activity runs. Click on the Feedback icon to give us feedback on various features or any issues which you may be facing. 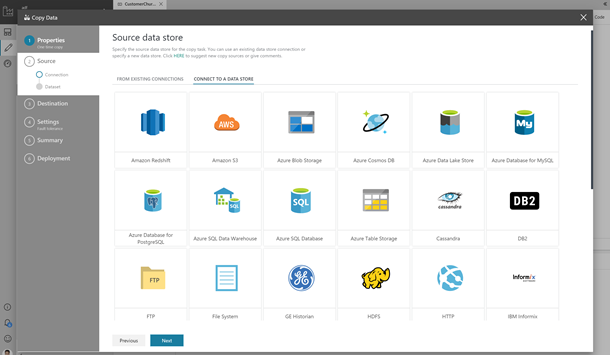 Hover on the Data Factory icon on the top left. 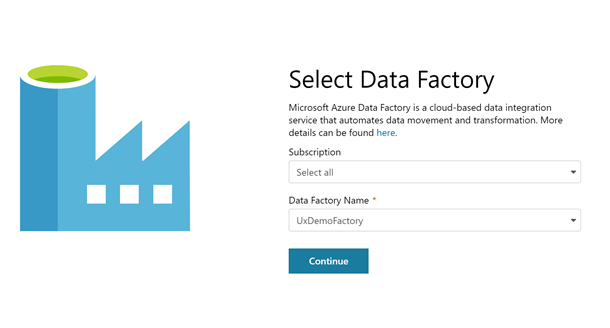 Click on the Arrow icon to see a list of Azure subscriptions and data factories which you can monitor. 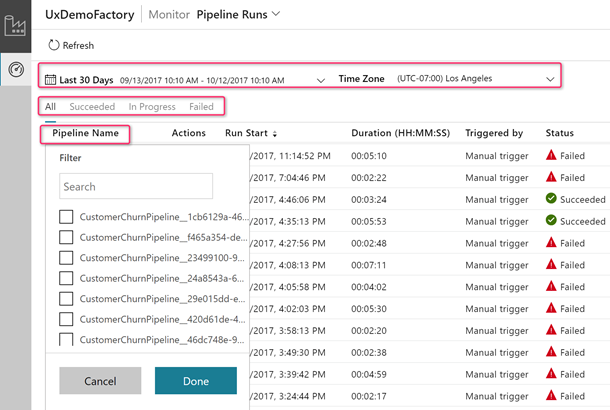 Monitor pipeline, activity and trigger runs with a simple list view interface. All the runs are displayed in local browser time zone. 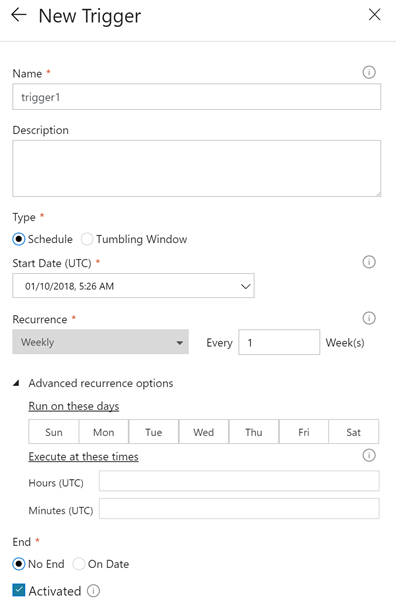 You can change the time zone and all the date time fields will snap to the selected time zone. List view showcasing each pipeline run for your data factory v2 pipelines. List view showcasing activity runs corresponding to each pipeline run. 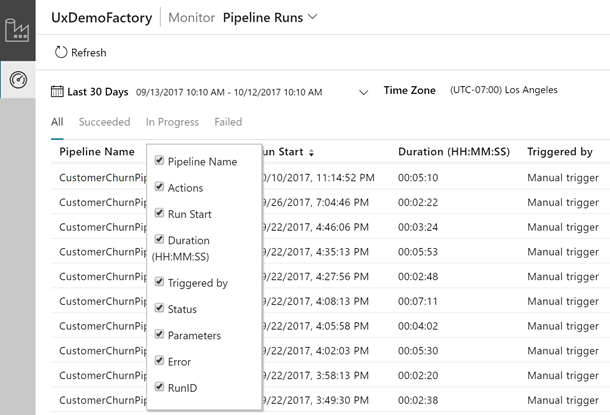 Click Activity Runs icon under the Actions column to view activity runs for each pipeline run. Important note: You need to click the Refresh icon on top to refresh the list of pipeline and activity runs. Auto-refresh is currently not supported. 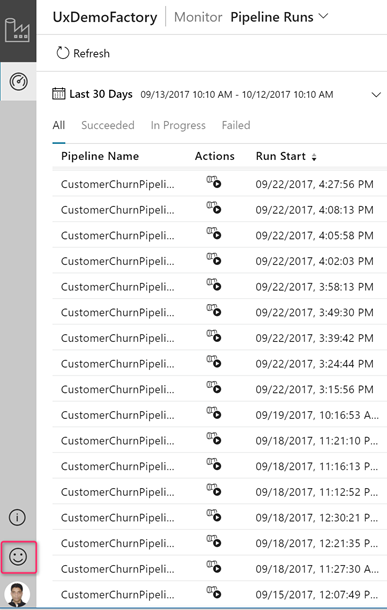 Order pipeline runs in desc/asc by Run Start and filter pipeline runs pipeline name, run start and run status. Right click the list view header and choose columns which you want to appear in the list view. Increase and decrease the column widths in list view by simply hovering over the column header. 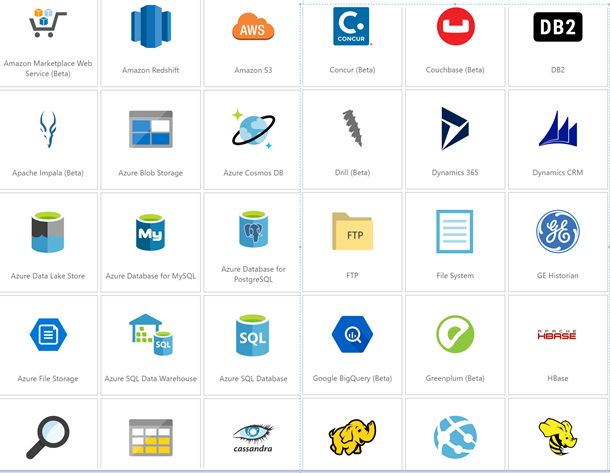 Monitor health of your Self Hosted, Azure, Azure-SSIS Integration runtimes. Cancel a pipeline run or re-run a pipeline run with already defined parameters. This is the first public release of ADF v2 visual tools We are continuously working to refresh the released bits with new features based on customer feedback. Get more information and detailed steps for using the ADF v2 visual tools.